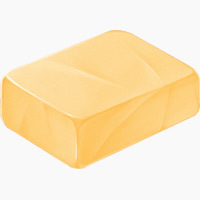 Butter isn’t usually a food associated with weight loss. In fact, it’s so strongly linked to weight gain that you can probably think of at least a couple gross and demeaning fat-related insults that feature the word butter somehow (if you can’t, count yourself lucky that you’ve avoided a whole genre of cruel, shaming put-downs). But did you know that the actual research proves exactly the opposite? That’s right: multiple studies have shown that eating high-fat dairy foods is associated with lower BMI. And this isn’t just about dairy. The “paradox” of full-fat dairy foods being associated with lower BMI is a great demonstration of some basic Paleo principles: don’t take naturally-occurring fat out of whole foods, and if you absolutely have to, don’t replace it with sugar and/or Omega-6 fats. The story of dairy is the story of the disastrous low-fat craze and its consequences, in miniature. But Doesn’t Paleo Exclude Dairy? It’s true that dairy is a Paleo “gray area” and it’s not right for everyone. But there’s no one “true Paleo” that every single Paleo eater has to follow. Paleo is all about eating whole foods that humans have evolved to digest. Dairy is a whole food that some people (but not others) have evolved to digest. Dairy contains a sugar called lactose, and only some humans (about 1/3 of all people) have the gene to digest lactose properly. The rest of us (about 2/3 of the population) are lactose intolerant: we get digestive symptoms ranging from mild discomfort to instant diarrhea. You can read more about the particular mutation and everything here. So basically, if dairy sits fine with you personally, then you’re probably lactose tolerant (lucky you!). In its natural state, dairy is a highly nutritious whole food, and it can be part of a healthy Paleo diet for people who tolerate it. If you don’t tolerate it, there are alternatives. But you might still want to read up on the history of dairy, because it’s an interesting case study on the problems with fear of natural fats. 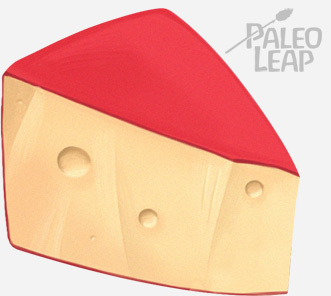 From a Paleo perspective, dairy fat is one of the healthier fats around. It’s full of conjugated linoleic acid (CLA). In several studies, CLA showed benefit for preventing weight gain. It didn’t cause weight loss, but preventing gain is still a pretty significant benefit, especially for people maintaining a weight loss (often the toughest part). And in study after study, eating full-fat dairy (whole milk, butter, cheese, full-fat yogurt…) is associated with a lower BMI. This review looked at 16 studies on high-fat dairy foods. In 11 of the 16, dairy fat was associated with a lower BMI. In 4, there was no association. The authors concluded that “The observational evidence does not support the hypothesis that dairy fat or high-fat dairy foods contribute to obesity or cardiometabolic risk, and suggests that high-fat dairy consumption within typical dietary patterns is inversely associated with obesity risk.” “Inversely associated” means that as one thing goes up, the other goes down, so in this case, as people eat more dairy fat, they get LESS obese. This study compared consumption of low-fat vs. high-fat dairy products in middle-aged women. Women who ate a lot of high-fat dairy had a lower risk of gaining weight. Women who ate a lot of low-fat dairy didn’t get any protection against gaining weight. Here’s another study showing roughly the same thing. It was also done in middle-aged women (age 40-55). Whole milk, sour milk (basically fermented milk), and cheese were associated with smaller weight gain. There was no association with skim or low-fat milk. Association isn’t causation. This doesn’t actually prove that dairy fat causes lower BMI. But it’s pretty suggestive. And it does prove that dairy fat doesn’t cause a higher BMI – these studies are totally inconsistent with the idea that butter makes you fat. Now consider what we’ve done to dairy over the years. People used to drink whole milk and cook with butter. In the 1800s, a butter substitute called margarine came on the scene. Margarine was originally made with beef tallow – the point was to have a cheaper butter substitute, not one without animal fat (remember in the 1800s we weren’t panicking about animal fat just yet). Margarine was actually subject to punitive restrictions and regulations for years, and very few people ate it before the 1920s. But for a variety of reasons, including butter shortages during World War II, margarine slowly became more popular, and increasingly made with vegetable oils instead of animal fat. And then came the postwar years, when saturated fat and cholesterol were (wrongly!) declared “bad” and vegetable oils declared “good.” Margarine and other butter substitutes suddenly had the seal of approval, and butter fell into disfavor. Fast-forward to the low-fat craze of the 1980s. Now it’s not good enough to get rid of saturated fat; we have to get rid of all the fat. 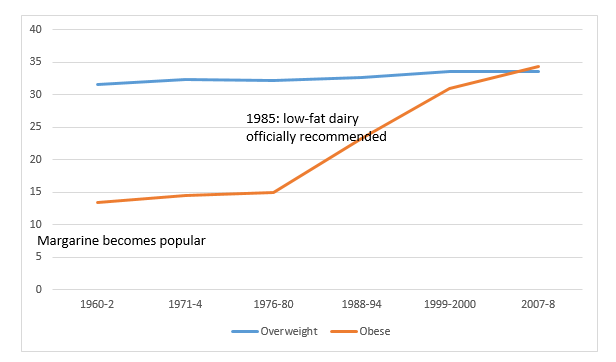 Starting in 1985, the Dietary Guidelines explicitly recommended skim milk and low-fat dairy products. By 1988, low-fat milk was selling more than whole milk – banner news for a product that had previously been ignored and unpopular. But unfortunately, fat-free dairy tastes pretty blah once you’re used to the full-fat version, and the texture is also off. So what did manufacturers add to their “healthy” fat-free yogurt cups? Sugar! Lots and lots of sugar. Just for example, a popular brand’s “Fruit on the bottom: Strawberry” flavor has 24 grams of sugar. Sugar is the second ingredient on the ingredients label (and those ingredients are listed in order of how much there is). That “healthy” fat-free yogurt is still palatable because it’s full of sugar instead. At this point, we’ve taken a whole food, and removed an extremely healthy fat – high in conjugated linoleic acid, high in saturated fat, low in PUFA. Instead of using that fat to cook with, we’ve switched to a blend of inflammatory industrial oils, and instead of leaving it in foods like yogurt and milk, we’ve replaced it with sugar. Here’s a graph overlaying those dates on the graph of the adult obesity rate in the United States. The numbers are the percentage of adults overweight or obese. This isn’t saying that fat-free yogurt caused obesity. The rising rate of obesity is very complicated. It can’t be blamed on any one individual thing, and definitely not fat-free yogurt. But these changes in the way we ate dairy foods parallel the big changes that contributed to our current problems with obesity and other inflammation-related diseases: eating less fat from whole foods, more sugar, and more Omega-6 fats. That’s why dairy fat ought to be interesting even to people who don’t choose to eat any dairy at all. The story of dairy is a miniature story of the American diet: panic over healthy fats from whole foods, replace them with hyper-processed junk food, and then wonder why we’re constantly getting sicker. Maybe we would all be a bit thinner – not to mention a lot less neurotic – if we just got back to eating unprocessed foods, and just enjoy the delicious and healthy fat they happen to contain.